Given Antonio Conte’s famous temper, this is unlikely to be a pleasant week at Chelsea’s Cobham training ground. A week after a feeble performance against Liverpool, the Blues capitulated again against Arsenal at the Emirates. As the Chelsea manager reviews Saturday’s performance, he is likely to pick up on something that has been noted by The Times in the graphic below. 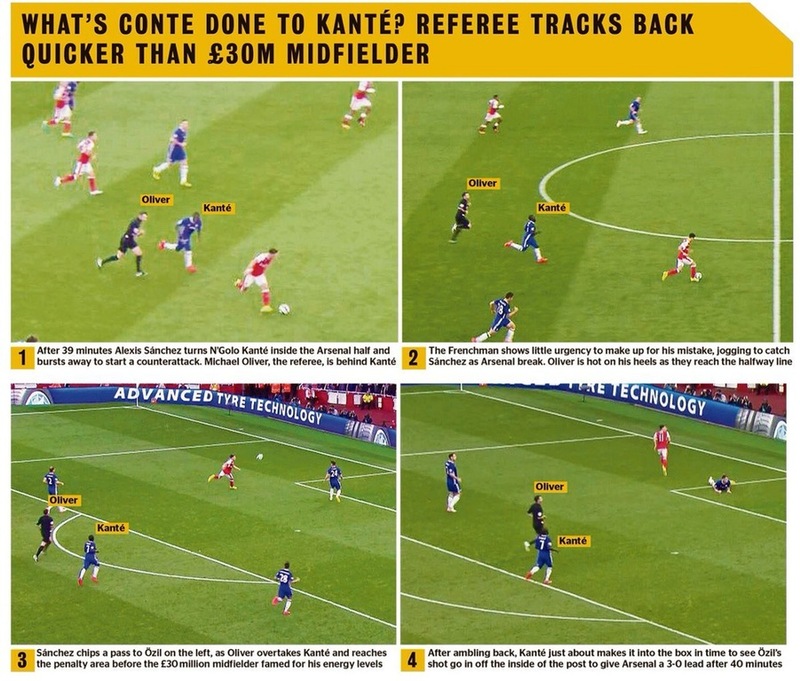 To see a player whose primary qualities are his fitness and hard work being outpaced by a 31-year-old referee will be a serious worry for Conte, and for Chelsea fans who may well be wondering how the apathy that has affected the rest of the side for 18 months has already infected Kante. The post (Image) Chelsea’s Humiliating Defeat to Arsenal Summed up in one sequence appeared first on CaughtOffside.